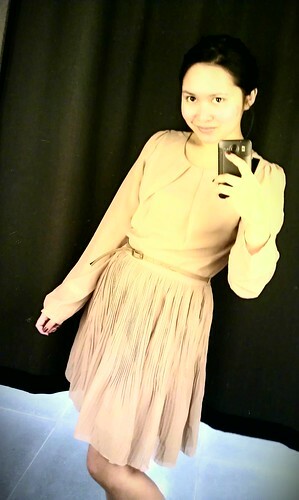 I tried a sheer dress which is on 50% sale today at Sorbet. I think the original price was around 450-500kr. I was in the fitting room for almost 30 minutes evaluating the dress and my economy! and guess what I didn’t buy it! Lol. Nah, I’m just not sure if the dress fits well on me. I feel that the color doesn’t suit me well.